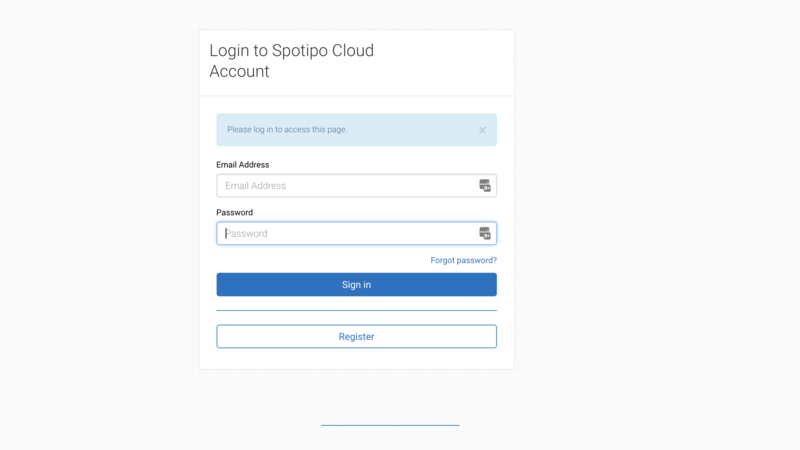 First step after installation is connecting your installation with spotipo cloud account. 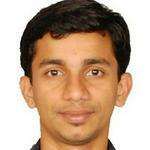 Please login with your account details if you had registered already. 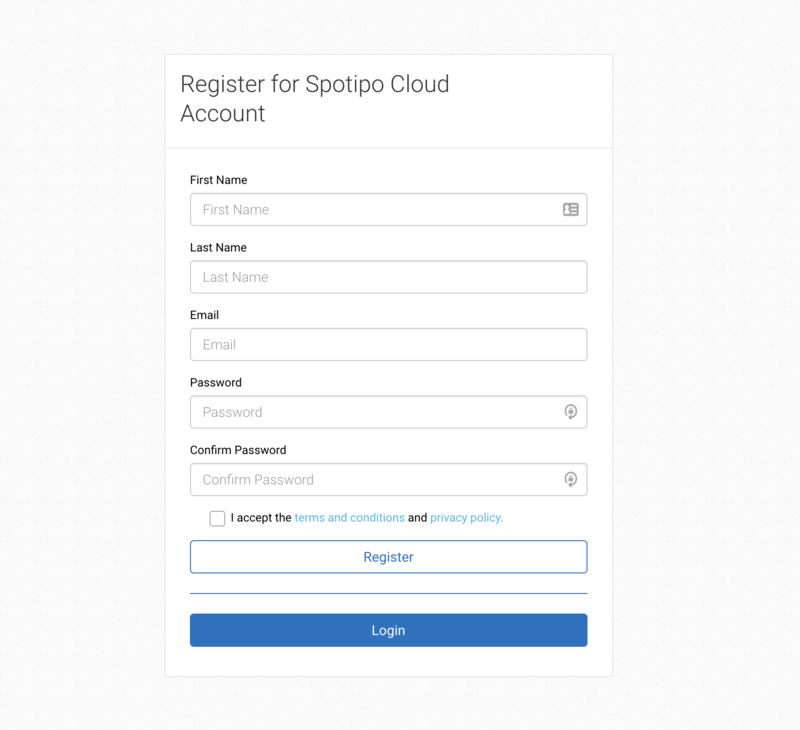 Alternatively, you can register for a new account. 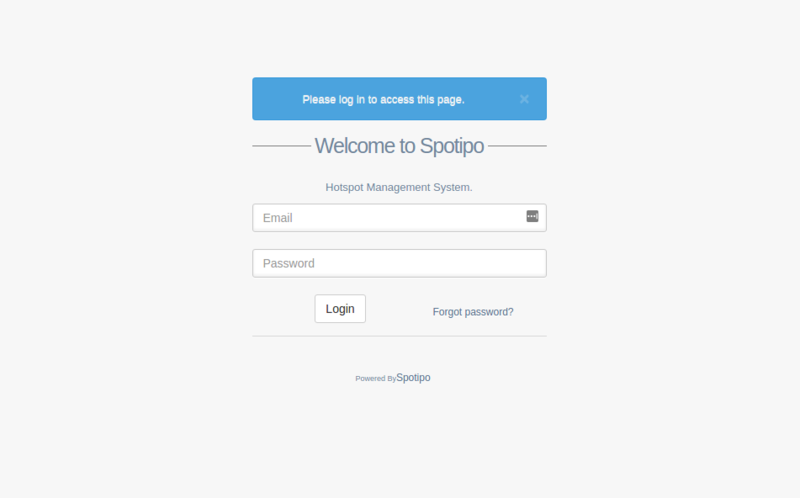 Once registration is complete, you should be able to see a screen like below.